Women have come to the fore in the Belfast Sports Awards, with a record number nominated across all categories – a fitting tribute in the year that marks the 100th anniversary of women winning the right to vote. Belfast Deputy Lord Mayor, Sonia Copeland, said: “I am delighted to learn that so many women are being recognised for their participation in and contribution to local sports. “As a politician it is heartening to see that recognition for women and the many roles they undertake and it is inspiring for younger women who have hopes and dreams to see others who have achieved or are helping others to achieve those dreams. “An active life contributes not just to physical but to mental health and at a time when we are experiencing an upsurge in young people in particular coming forward with mental health difficulties it is essential we do all we can to encourage their involvement in sport,” she added. 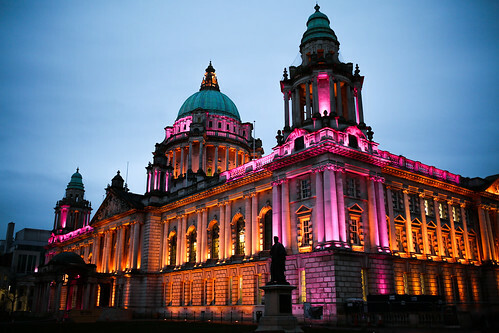 More than 200 nominations were received for the Belfast Sports Awards and Hall of Fame, and the winners were announced during a dinner hosted by the Deputy Lord Mayor at City Hall. Among the women winning awards are athletics coach Heather Ardis, named Senior Coach of the Year who has trained para athlete, Jack Agnew. He is taking part in the Commonwealth Games in Australia after becoming the first Wheelchair athlete to be appointed to the team since 2002. Women are playing their part in football too, with Gail Redmond from Glentoran Belfast United named as Female Coach of the Year, and Donna Maxwell, Chairperson of Belfast Swifts – the first all-girls club in Belfast - winning the Sport NI Lottery Funded Pathways to Club Award. Jacqueline (Jackie) McKernan, a Belfast born discus thrower who has represented Ireland and NI at three Olympics and five Commonwealth Games, was also one of three people inducted into the Hall of Fame. Her personal best throw of 60.72 metres in 1993 remains the Northern Irish record, and places her fifth on the British all-time list. Jackie has recently retired from Athletics NI.